This form allows you to make a gift to the Fisk Jubilee Singers® Endowed Scholarship Fund using your credit card or through a bank draft. 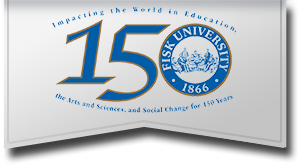 Thank you for supporting Fisk University. All data collected is confidential and secured. If this is a tribute gift in someone's memory or honor, please enter that information in Additional Information: Comments.